If you want to get money in no time at all, the Check Into Cash is the right institution to provide payday and title loans and the one you can count on before trouble hits. 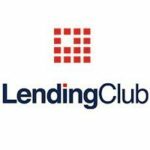 The company which is based in Cleveland, Tennessee is in the forefront for the borrowers all over the USA because it puts the customers first. In case a client does not meet their criteria, Check Into Cash will always do their best to find other lenders to provide a convenient loan. Internet users often search for “check into cash offices near me”. At present there is no need to go to cash stores, as everyone has got access to the Internet and a computer and you can submit your application online. However, if you want to visit one of lenders in person, you can find their locations and working hours on the official website. How Does Check Into Cash Operate? This is the way they work. 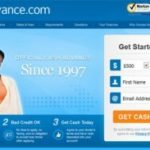 You can get online loans as well as check into one of their Cash stores.The process of online application takes just a few minutes; and, as soon as you get approved, your money is transferred within one day. If a customer prefers to apply in person, at one of stores, he gets cash once he fills out the application form. As for Check Into Cash Title loans, borrowers are required to provide a clear title of their car as collateral. Compared with payday loans, interest rates in this case are lower. If the term of a loan makes 14 days, interest rates are expected to vary from 260.71% to 782.14%, which depends on the state you reside in. What makes Check Into Cash different from other lending institutions is that instead of charging regular interest rates they charge the so-called “flat fee”. If, for instance, living in Illinois you have to pay a fee of $46.50 for a $300 payday loan, in Utah you will be charged as much as $75 for the same amount of loan. The amount of APR on payday loans also depends on the term of a loan: the longer the loan, the lower the APR is. What is the Amount of Money I Can Borrow ? You are entitled to borrow from $100 to $1,500, and the maximum amount depends on the state you live in and its laws. Where Does Check Into Cash Operate? 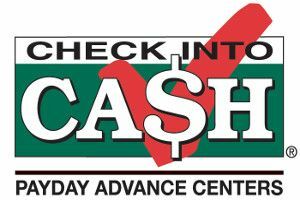 There are several states where Check Into Cash services are not provided. Here is a list of them: Arkansas, North Carolina, West Virginia, Montana, North Dakota, Minnesota, Maryland, Pennsylvania, New Jersey, New York, Massachusetts, Connecticut, Rhode Island, Vermont, New Hampshire and Maine. The state of Oregon does not provide any in-store loans, while Arizona, New Mexico, Colorado, Nebraska, Iowa, Kentucky, Virginia, South Carolina, South Dakota, and Georgia do not operate with online loans. In all other states you can enjoy online as well as in-store loans. As for title loans, they are offered in Alabama, Arizona, California, Georgia, Illinois, Kansas, Louisiana, Mississippi, Missouri, Ohio, Tennessee, Texas, Utah, Virginia and Wisconsin. What Is Check Into Cash’s Application Process Like? The application process does not take much time, it is fairly simple and easy to understand. As soon as a borrower gets approval, the cash is received within one business day if it is borrowed online, and practically within some minutes if it is done in-store. What is required is your identity and the proof of source of income, such as bank statements and your Social security number – any type of identification. In order to qualify, a borrower has to have a stable income of at least $1,000. 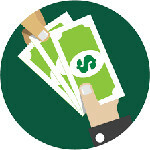 What Makes Check Into Cash Different from Other Lenders? As it was mentioned above, the philosophy of company is to put a customer and his convenience first, and to be flexible. Fast service, no need to wait in lines for hours, competitive interest rates, the way they treat their customers – these are the features that make Check Into Cash stand out from the crowd of other payday lenders. What is more, Check Into Cash is licensed in every state it provides its services.